Lawyer Roberto Marrero was taken away by intelligence agents in an overnight operation that was promptly condemned by Mr Guaidó as well as US Secretary of State Mike Pompeo, who called for the immediate release of the opposition figure. "We will hold accountable those involved," Mr Pompeo tweeted. The US has imposed oil sanctions on Venezuela as well as individuals linked to President Nicolás Maduro in an attempt to force him from power. President Donald Trump has said tougher sanctions could occur and that "all options are on the table", a remark Mr Maduro and his ally, Russia, have interpreted as a possible prelude to military intervention. The Venezuelan government had no immediate comment on Mr Marrero's detention, which represented a sharp increase in police pressure on the opposition after a period of relative calm. 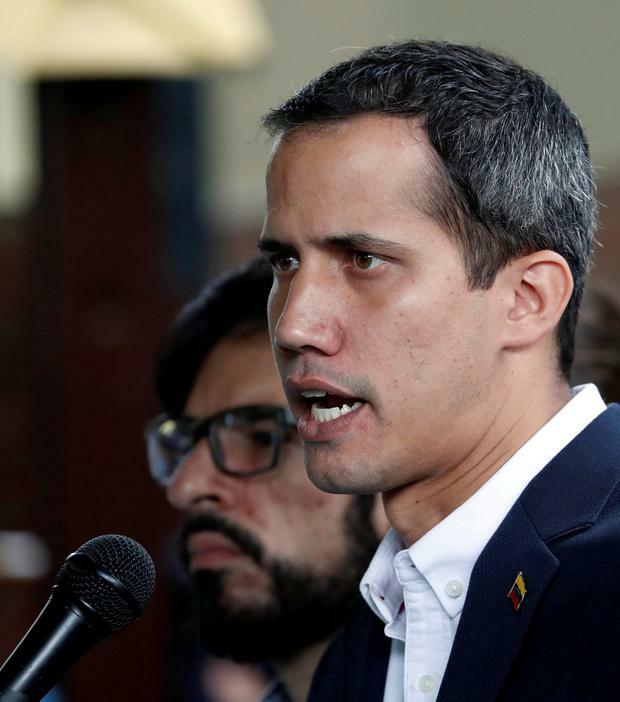 Mr Guaidó had even said that the government was ignoring him in an attempt to sap the energy of the opposition, though Mr Maduro has often described his adversary as a "puppet" and a "clown". Mr Marrero reported the raid in a telephone call whose recording circulated on social media soon after the operation occurred. As he described how a large group of intelligence officials was entering his home, heavy thuds could be heard in the background. The neighbouring home of opposition lawmaker Sergio Vergara was also searched.